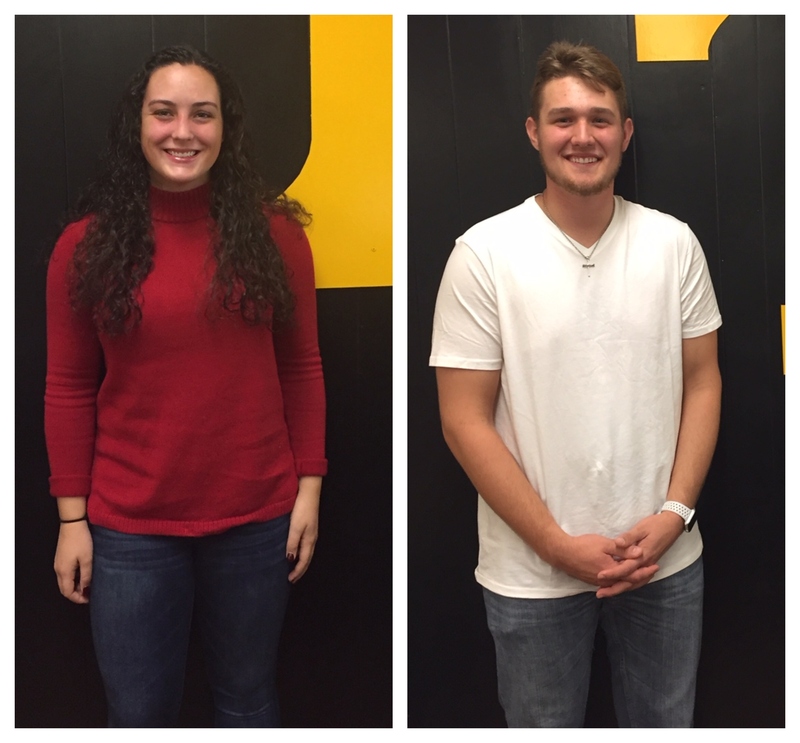 Tuscola High School seniors Landon Henley and Sarah Swaim have both been named school winners of the 2018 Wendy’s High School Heisman Competition. From a total applicant pool of nearly 42,000 high school scholar-athletes graduating with the class of 2019, more than 7,500 have been named School Winners in Wendy’s annual scholarship competition. Sarah Swaim is the daughter of Davis Swaim and Sherry Swaim. She has represented Tuscola High School regionally as a swimmer 2016-2018, and she serves as team captain. In both 2017 and 2018 she was named All-Conference and All-WNC in soccer, and she has been named Tuscola MVP and conference Defender of the Year, 2016-18. Outside of school she is active in club soccer, and she volunteers with Folkmoot, Asheville-Buncombe Youth Soccer Association, and Open Door Ministries & Second Blessing Thrift Shop. She is an active member of National Honor Society, Key Club International, and the Spirit Club. Sarah has a 4.4 GPA and is currently dually enrolled at Tuscola High School and Haywood Community College. She is planning to attend college in the fall. Landon Henley is the son of Matt and Angie Henley. He has been named All-Conference and All-WNC in both basketball and baseball, as well as Basketball Player of the Year when he earned his 1000th point last season. He was also recognized as the 2018 runner-up Pitcher of the Year. In addition to athletics, Landon is a member of Tuscola’s Summit Show Choir, National Honor Society, and the Unified Sports program. Landon has a 4.2 GPA and is currently dually enrolled at both Tuscola High School and Haywood Community College. He is planning to attend college next fall. School Winners continue to compete for the chance to become State Finalists, State Winners, National Finalists or National Winners. State Winners (announced November 7) receive a $500 college scholarship, National Finalists receive a $1,000 college scholarship and the male and female National Winners (announced November 9) receive a $5,000 college scholarship and trip to New York City to attend the Heisman Trophy Trust’s annual college Heisman award broadcast on Saturday, December 8, 2018. Landon Henley has also been named a state finalist in the Wendy’s High School Heisman competition.